The appliance war scene sounds like a bad throw back to levels of Baynus might be picking this up at some point tho. When was Arcee ever a Spider? AllNewSuperRobot wrote: When was Arcee ever a Spider? Well, doesn't have to be part of your personal canon. 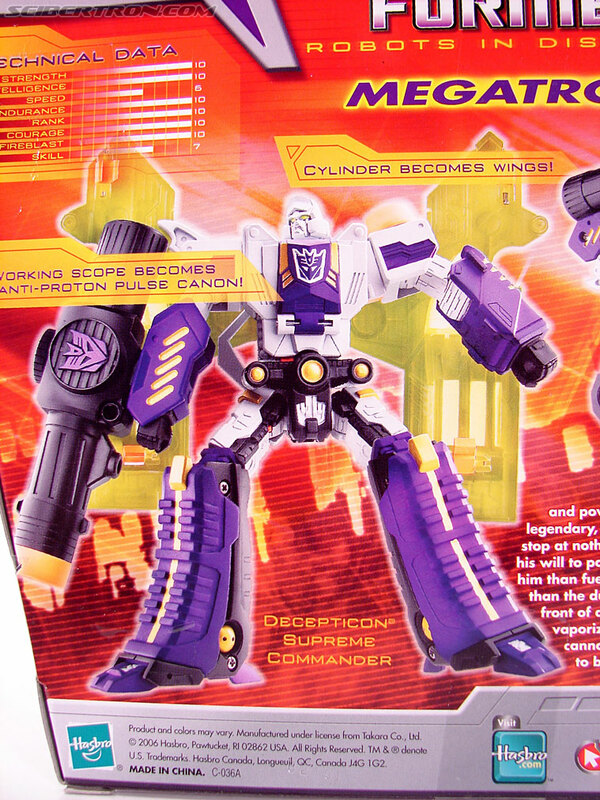 But as clearly stated, the FubPub and 3H comics are canon to the Transformers mythos. 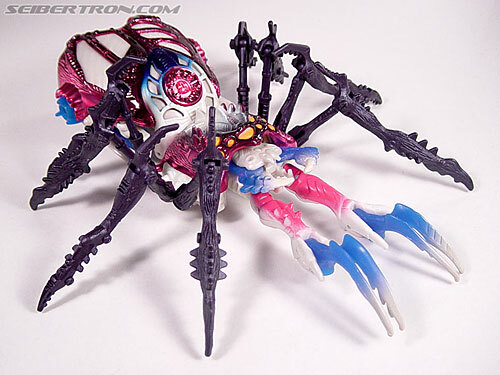 Also want to point out, that the T2 spider Arcee (I'm assuming she's a T2, seeing as she's redecoed off a T2 toy) was the very first Arcee toy to have a transformation gimmick. You can, I enjoy Dark of the moon a lot, and some fight scenes in the other movies. I just read a few comments on they NEED another Bayformers and Bumblebee was so boring. 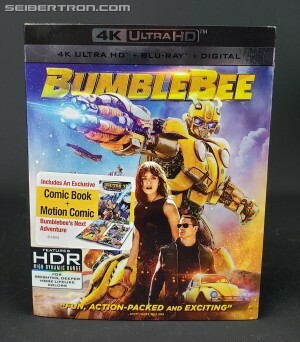 And they really don't want a Bumblebee sequel. Redundant links aside, I'm talking about canon from the perspective of a mainstream line. Be that a cartoon, film, video game or high profile comic book publisher, such as Marvel, Dreamwave or IDW. Anything else is just a novelty wiki page and/or con-exclusive repainted oddity. At the time they were released, 3H's media was viewed by the fandom as being on the same level as anything else, since there were no other Beast Wars or Beast Machines comic series out at the time. Fans were starving for more Transformers comics and 3H was the only option that gave people exactly that, for better or for worse. And all of their published material (once each piece's physical copies had sold out) was eventually put online for all fans to experience, with the exception of those that hadn't sold out prior to the company's losing the brand license to Fun Pub. As such, everything they released from 1997-2002 made it online for all to see, and is still accessible to this day. This reminds me of what I've said for years with Beast Wars. Wherein everything applicable only exists via the toys and the cartoon, given the lack of alternative media. The stance I took was that if it didn't happen/wasn't said directly in the show, it was irrelevant. The G2 "links" people discuss, concerning the Swarm and other such things, as it was never spoken in the show, it is fan fiction and non-canon. People that debate this I've asked them to show me the episode where it is addressed. It doesn't exist, which proves the point. Just like how Furman wasted the opportunity presented with the The Ascending on some weird one-dimensional Rampage redeco, my curiosity sated, I now know Acree was never a spider in any cartoon, film or any of the mainstream examples I gave above, so I don't care beyond that. Right, just in her first Hasbro-produced transforming toy ever made, complete with Susan Blu's voice in a voice box accessory. Which would have meant more, if the design were being used in a show. Plus being something more unique than just a Blackarachnia redeco. 4,668 pages were recently viewed by 906 unique visitors. This page was viewed 2 times on Saturday, April 20th 2019 9:11am CDT. © 2019 Seibertron, Inc. DBA Seibertron.com. All Rights Reserved. Established June 2000. Seibertron.com is owned by Ryan Yzquierdo.